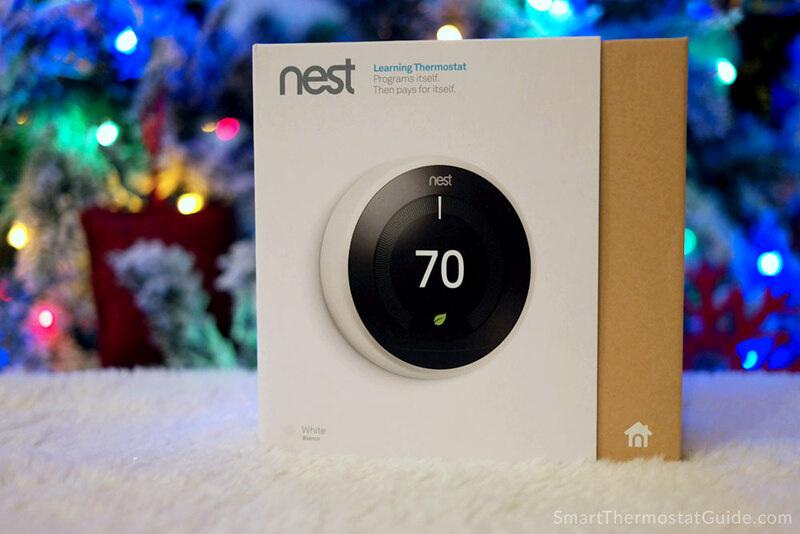 ‘Tis the perfect season to upgrade your home with a smart thermostat! 2017’s smart thermostats are supported by polished apps, well-integrated with home automation systems and voice-assistants, and there are plenty of deals to go around. If you have a 24-volt HVAC system (often called forced air or central heat/air conditioning), there’s a smart thermostat out there for you. If you have a line-voltage heater, such as electric baseboard heating or a thermostat that controls an electric heater in every room of your home, look at the bottom of this article for our recommendations. Here are the best smart thermostats for 2017 – based on our own expert opinions, feature sets, prices, and overall popularity. About us: We’ve been installing, reviewing, and generally obsessing over smart thermostats since 2014. Thanks for joining us! This guide is current as of November 2017 and is intended to help shoppers figure out what smart thermostat is right for them – or their intended gift recipient this holiday season! It’s functional, it’s beautiful, it probably works in your home – there’s a lot to love about the ecobee4. Hands down, our top pick for 2017 is the ecobee4 Alexa-integrated smart thermostat from ecobee. 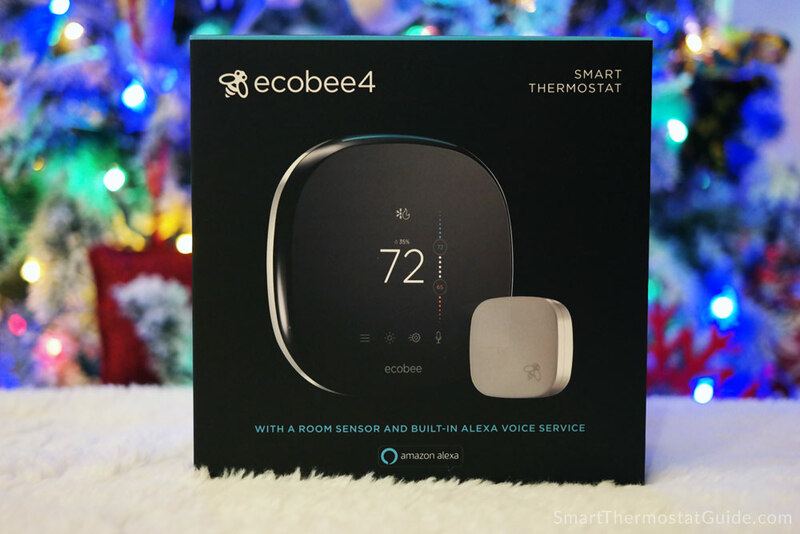 This is the Tesla of smart thermostats right now and if you’re giving a smart thermostat as a gift, this is the one you should give. Everything your recipient needs to get started is right here in the package: the best smart thermostat of 2017, a room temperature sensor, a Power Extender Kit to help with wiring, and Alexa built right into the hardware. 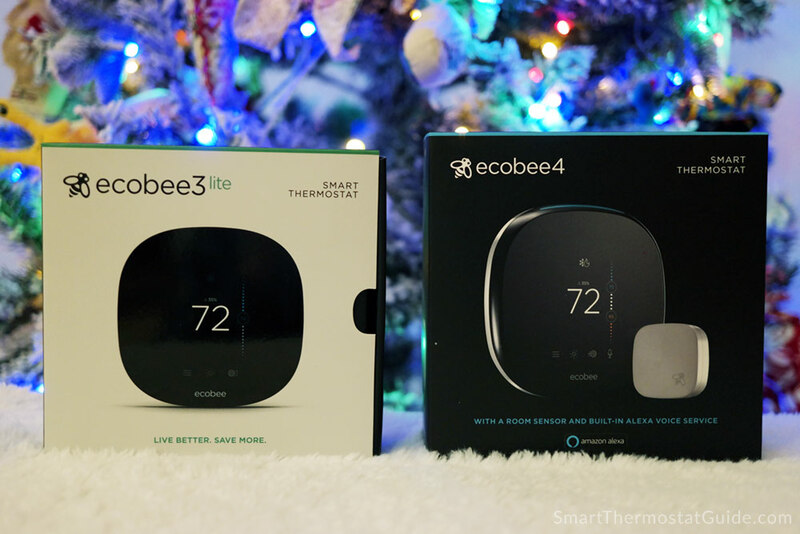 Read our hands-on, detailed review of the ecobee4 here. 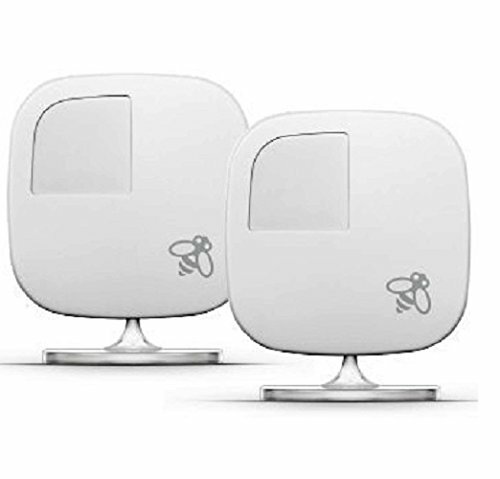 We’ve seen a number of fantastic deals on the ecobee4 this shopping season (check current price and stock on Amazon.com) and you can add as many additional room sensors as you want to see exactly which parts of your home are getting the heat (or cooling) they need. The touch screen is beautiful and pleasing to use, but it hardly matters when the app is so great – you’ll do all your initial adjusting and scheduling in the app, and then you’ll enjoy hands-off comfort year-round. We don’t know what kind of HVAC wiring you have – but chances are, if it’s a 24-volt system it will work with the ecobee4 thanks to the included Power Extender Kit. 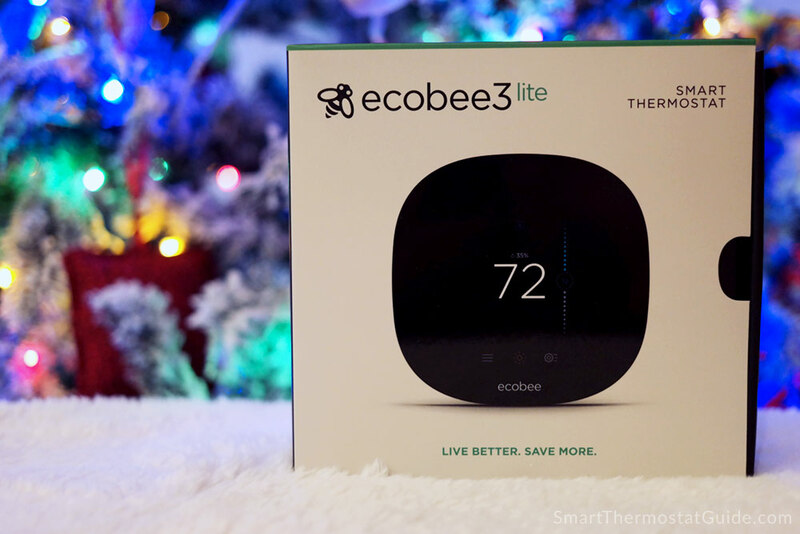 The bottom line: the ecobee4 is the smart thermostat to give this winter. Its “learning” ability is what made it famous – set it up and it takes care of the rest. 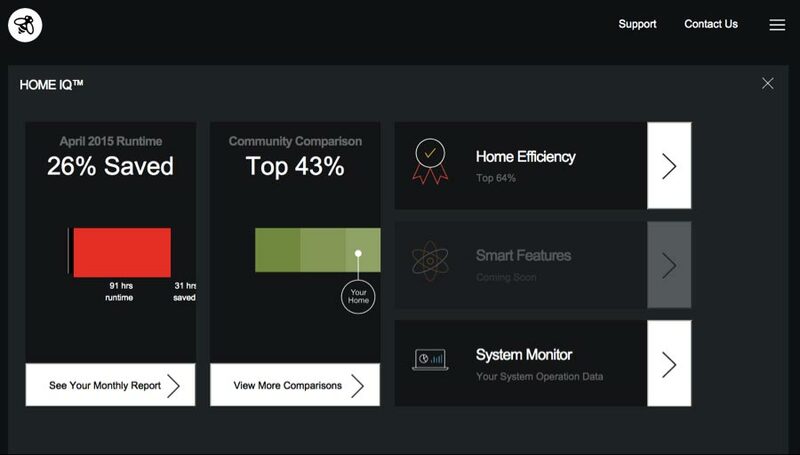 The data geek in your family will be pleased by ecobee’s HomeIQ reports, which are detailed and offer some built-in data analysis, and tinkerers might be tempted to play with ecobee’s open API (ecobee Chrome extension, anyone?). There’s plenty more to love about ecobee: ecobee3 lite and ecobee4 both ship with Power Extender Kits, making it more likely that either one will work with your 24-volt HVAC system. 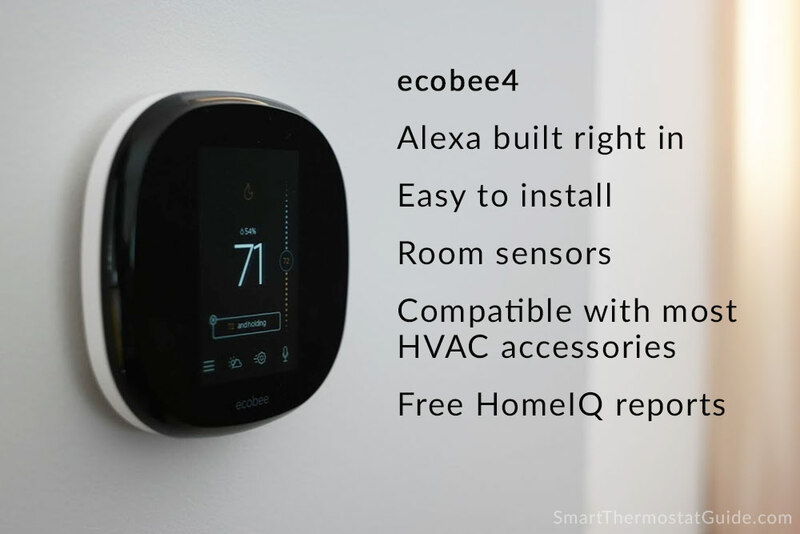 The ecobee4 offers Alexa built right into the hardware, and both models support as many room temperature sensors as you need. The room temperature sensors can be placed anywhere (no wires needed) and should appeal to anyone who wants to quantify exactly how warm – or how cool – certain rooms feel. The bottom line: the ecobee4 is the way to go if love data and fine-tuning. 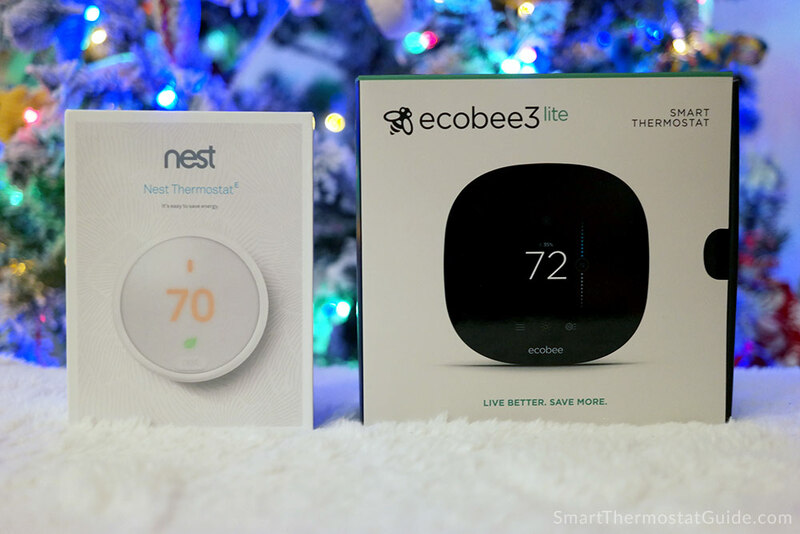 The Nest Thermostat E and the ecobee3 lite are both excellent choices, and each has its own “edge”. 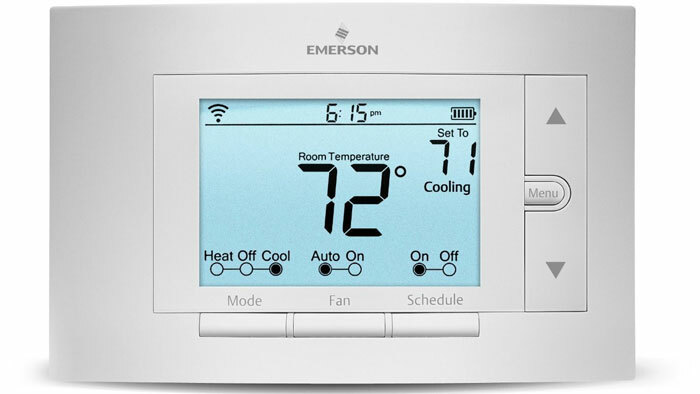 The word “budget” can mean a few things – either you want to save a lot on the thermostat unit itself, and/or you want to see some big savings once you have it installed. Either way, we have two suggested “budget” models to consider, both with an MSRP well under $200. Detailed reports and easy scheduling help you save energy with the ecobee3 lite. Choose the ecobee3 lite if you are motivated to design an energy-efficient schedule (it’s simple to set up) and/or you need the Power Extender Kit to install a smart thermostat on your system (perhaps your wiring is lacking a C-wire). 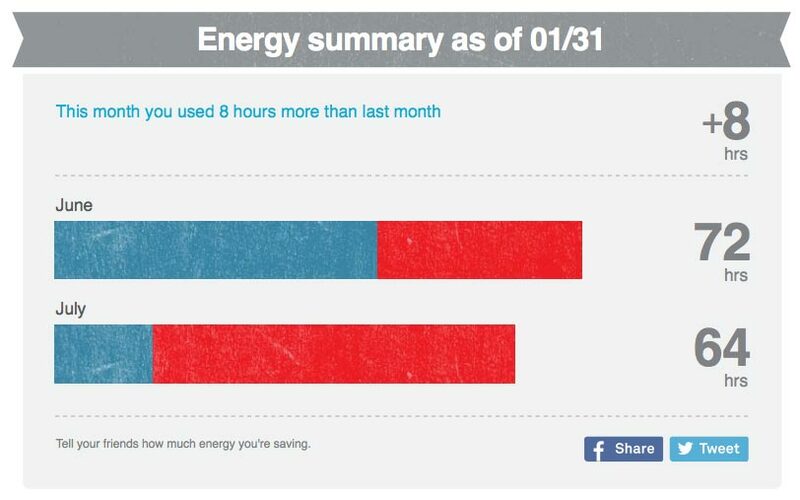 The HomeIQ reports are helpful for evaluating your monthly energy usage. 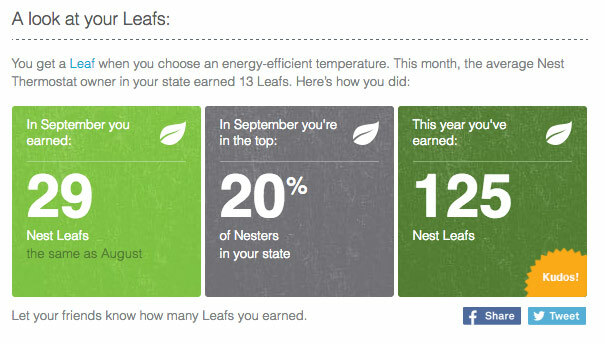 Earn a “Leaf” for good energy-saving temperature choices and compare your month-to-month usage. If you want to outsource the thinking, the Nest Thermostat E has the same “learning” brains that the full-featured model is famous for. Earning “Leafs” nudges users in an energy-saving direction and the Home/Away detection built into all Nest products makes it easy to figure out when you aren’t around. The monthly reports show how much energy you used this month vs. previous months and in comparison to your regional neighbors. 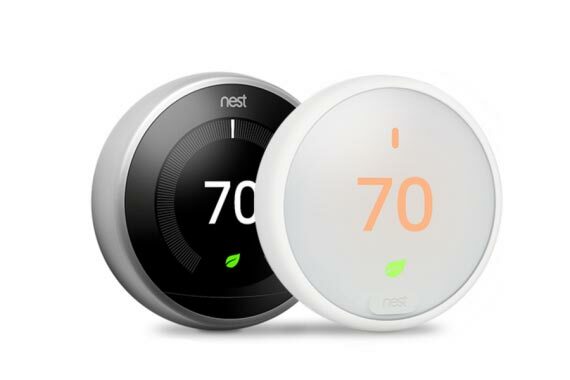 The only drawback to the Nest Thermostat E is its lack of support for HVAC accessories. Either way, to reap the monthly savings with a smart thermostat you’ll have to let them do their thing – that means letting the temperature drop when you aren’t home, lowering the temp at bedtime, and letting the house get warm in the summer months. If the “budget” picks above weren’t budget-y enough for you, consider the Emerson Sensi. This WiFi-enabled, Alexa-enabled thermostat has been one of our top picks this year, and it’s no surprise why: it’s capable, pleasing to look at and touch, and it works without a C-wire. We set one up in a family member’s vacation cabin last winter and we have been pleased with its reliability. High energy bills are what the Nest was made for: set it up, give it a little bit of information about yourself, and it figures out the rest. 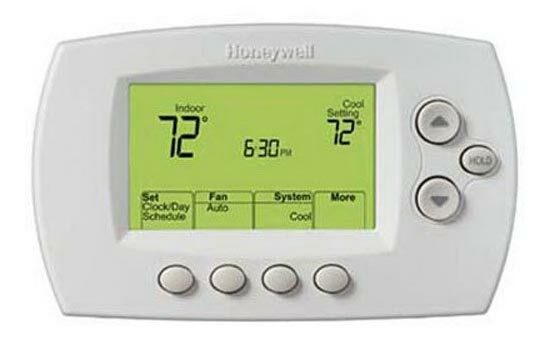 The Sensi is programmable, adjustable via an app, and the same size and shape as many thermostats from the 1990’s. It looks and acts like a programmable thermostat, but it’s full of modern sensibilities: the companion app is excellent and setup is easy. We set one up at a winter cabin that’s only in use half the year and it’s great: we can raise the heat to melt some snow off the roof, check that the house has electricity, and just generally keep an eye on the place without having to drive over. Our particular installation had no C-wire, which makes the Sensi’s versatility even more apparent. We hear a lot of “I just want a basic thermostat but with an app” – the Sensi is the way to go. There are some signs that manufacturers are starting to cater to the line-voltage market. 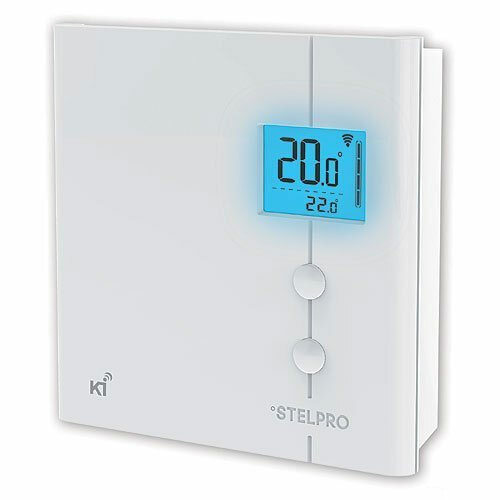 Our 2017 recommendation for certain types of line-voltage systems is the Stelpro KI STZW402WB+. HOWEVER! There are some catches. This thermostat is very specific in what kinds of systems it will work with. It does not work, for instance, with heaters that use a fan. Our hope for 2018 (since we own a line-voltage house ourselves!) 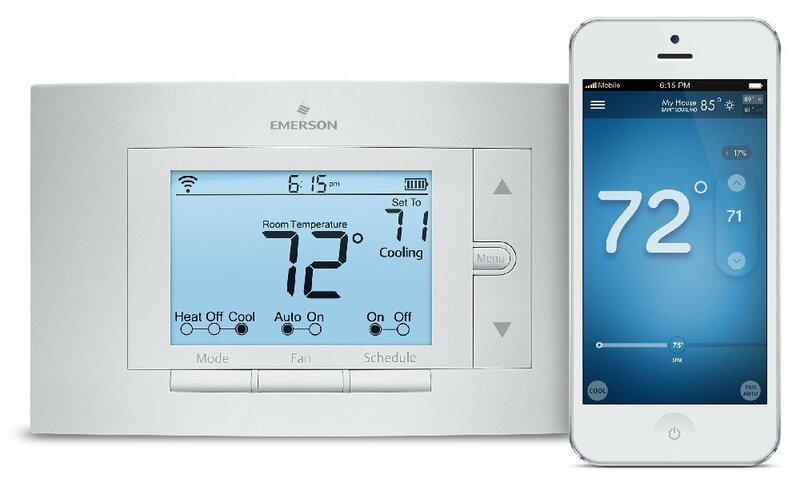 is that more smart thermostat manufacturers will cater to this large market! We crunched our numbers for the past 12 months and the Emerson Sensi is our best-seller for 2017! It looks like we aren’t the only ones out there who appreciate the no-nonsense design and wallet-friendly price point. And that’s it for 2017! We hope you have a wonderful – and warm – holiday season!